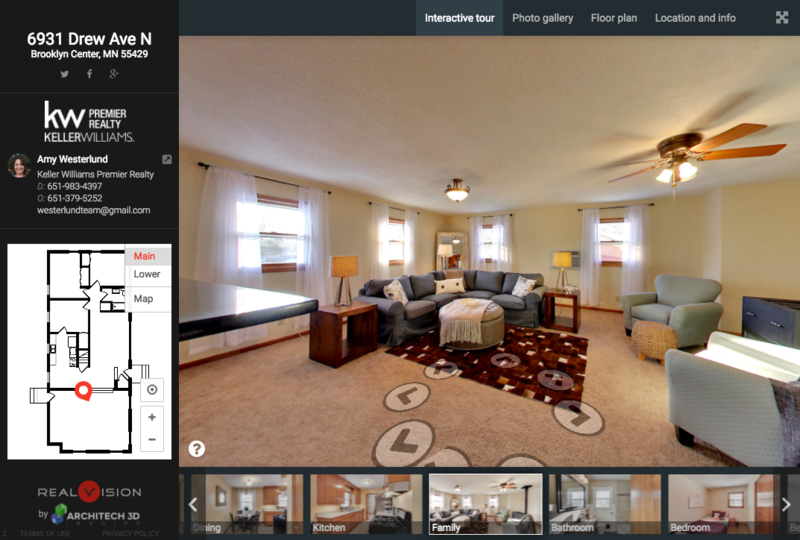 Dont miss the interactive 3D virtual tour link. Entertainment party bonus room is awesome, 23x17. Youll be hosting the family gatherings. Open's to formal family room and kitchen. Granite kitchen counter tops, Stainless appliances. New Carpet throughout. Beautiful Bathrooms with new vinyl plank flooring. Tile Shower w niche. Modern colors and light fixtures. Amazing entertainment home. Three beds up, master ensuite with walk in closet 9 x 8. Grab your shoes and step out to the patio. Take a peek into the playhouse or use as a shed. Notice the mature trees and fully fenced yard. Annual plants are going to pop up and there is an underground sprinkler system. Located just minutes from 694 and Hwy 100. Be downtown quick. Palmer Lk Elementary 6 blocks away. Walk along parkway on paved trails to the park Home Warranty included. Updated: 18th April, 2019 11:12 AM.